Anna Aspinall, 34, is from Whaley Bridge in the High Peak. She is a qualified primary school teacher and is currently a stay at home mum for her two children. 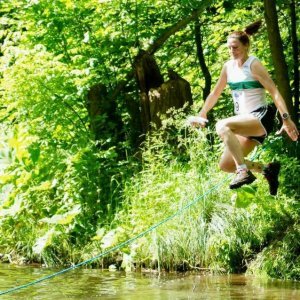 She spends some of her spare time as fell running with her club, the Goyt Valley Striders and has qualified as a fell leader in run fitness which means she is qualified and insured to take groups of runners out and train them on the basics of technique. Meet Anna, our Coach of the Month for August. "In 2013, I decided to join Slimming World as my weight was creeping up after having my second baby. I lost 3 and a half stone during that year and when I reached my target I decided I needed another focus. "On a whim I entered the Manchester 10km run, having never run in my life! I have ridden horses since childhood but running was an entirely new venture. "I enjoyed the Manchester 10km, finishing in under an hour and during training it had become apparent that I was quite a natural at hill running - a friend contacted me and suggested I try Fell running, I was well up for the challenge!" 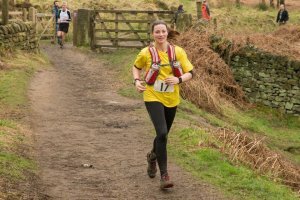 "Since then I have competed in many Fell races representing my club the Goyt Valley Striders and last year I was the club ladies Fell series champion. I was also second in the club championship which involved competing in road, Fell and trail races and have competed in duathlons and a triathlon. 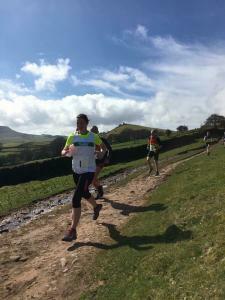 "I ran the 21 mile Grindleford Gallop this year which was much further than my normal favoured distance of 5-10km. 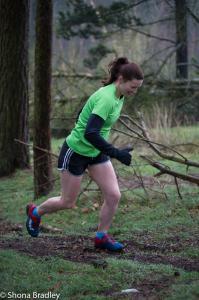 I am aiming to compete in more triathlons in the future and to develop further as a Fell runner." "Becoming a leader was quite a natural progression for me as over the past couple of years I have started to take groups of friends out in cycling groups - first mountain biking then road biking. We have had up to eight ladies out regularly and more recently some male counterparts have joined our road bike rides. 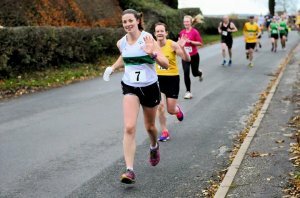 "I enjoy encouraging others and have inspired people to start running through my blog www.theladyfellrunner.blogspot.co.uk which documents my journey from non runner to now. "I decided to look into becoming a Run leader so that I could take groups of new runners out - when I found that I could do the Fell Leader in Running Fitness (LiRF) course I was sure it would be right up my street." "I would advise anyone who might be interested in a career in coaching, instructing or leading to talk to others who have already got leadership qualifications (somebody like me who could act as a mentor) and to contact Derbyshire Sport as I got funding through the This Girl Can Coach campaign and have been supported through my qualification. I also took a sports first aid course which was funded as well. "It is good to have a clear vision of what you want to lead, why and where you would like that to take you in future. For me, Fell running is my passion so that was easy, I wanted to inspire/teach and encourage others and in future I'd like to have a deeper knowledge so that I can take people further to their goals. 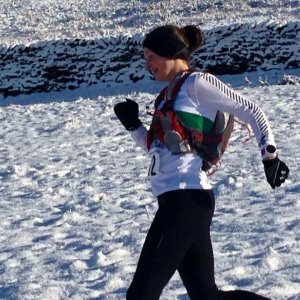 "I would eventually like to become a Fell coach in running fitness (CiRF) which would improve my knowledge and enable me to train people towards an advanced goal such as doing an ultra marathon." "I have taught a few complete newbies to running. One of my ladies was anti-exercise but now even takes her running gear on holiday with her, I love that it has become a life change for her. "I have currently got a hip injury and can't run which has stopped my classes but amazingly my ladies have continued to meet up and run together - having gone from non-runners to regular runners. This makes me very proud." Has this story inspired you? If you want to get into coaching or instructing, you can peruse our course finder and there's also the option to apply for a Coaching Derbyshire bursary. Has this story inspired you to get into coaching, instructing or leading? You can find out more on our coaching pages. If you're inspired to get into Fell running, find out more about the Goyt Valley Striders here or look for more local clubs via the Fell Running Association website.